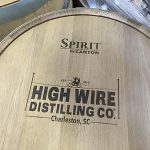 High Wire Distilling Company, Charleston’s first operating distillery since Prohibition, paved the way for a craft-spirits revival in South Carolina. 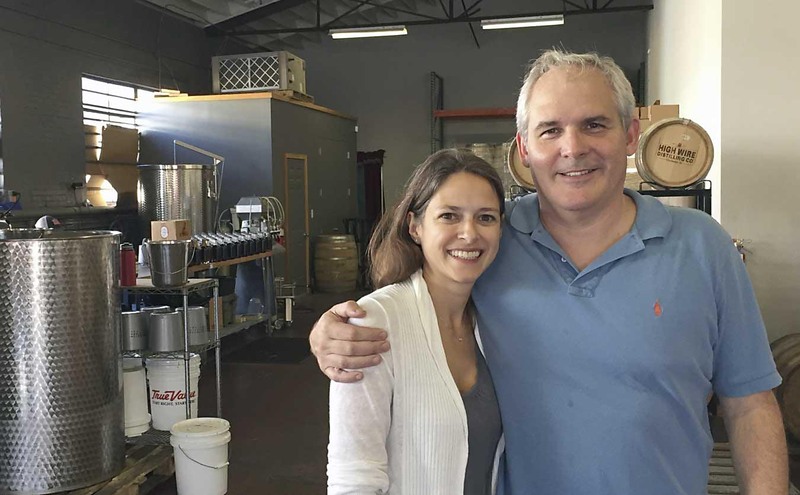 Husband-and-wife duo Scott Blackwell and Ann Marshall were steeped in the food and drink industries. 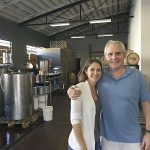 After selling their popular bakery, they were planning on opening a brewery when they began to consider a distillery instead. Blackwell is a lifelong entrepreneur and Culinary Institute of America-trained baker who opened a successful organic bakery, which he eventually sold to General Mills. 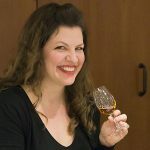 Marshall graduated from Duke University, spent years in natural food marketing, then co-founded High Wire Distilling Company with Scott in 2013. In both 2017 and 2018, they were James Beard Foundation award semi-finalists for Outstanding Wine, Beer or Spirits Professional. The distillery is housed in a 6,000-square foot warehouse on Upper King Street, centered around a hand-hammered copper still, flanked by a tasting room of cypress walls punctuated by windows gazing on the distilling process. 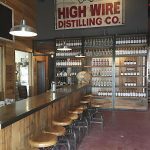 They distill Hat Trick gins, Hometown Vodka, New Southern Revival Brand whiskeys (including a rye and a sorghum whiskey) and a Southern Amaro Liqueur. Blackwell tells us about the road to distilling, how they have grown their brand and how regionality and grain preservation play into their whiskeys. Ann and I were both born in South Carolina. I spent most of my childhood in Greenville in the Upstate, while Ann hails from a small town in the Lowcountry called Orangeburg. We’ve both spent our entire careers in the food and beverage industry. I paid my way through college making and selling pies and went on to open a restaurant and coffee roastery in Columbia. A few twists and turns led me to sell the restaurant and move to North Carolina in the mid-’90s. I started Immaculate Baking Company in my garage a few years later, selling all-natural baked goods to local restaurants and grocery stores. Ann started working for Immaculate soon after graduating from Duke. We had a really small team, but we grew the business organically over the next decade and eventually sold it to General Mills in 2012. We were living in Greenville, SC, at the time, but we had spent a lot of time in Charleston together and hoped to end up here someday. Once we reached the fork in the road with the business, we knew it was the perfect time to make the move. As we got closer to selling Immaculate, we were already brainstorming the next business. I became obsessed with brewing beer at home and felt like that would be a really viable business. Ann got spooked by the sheer number of breweries that were coming online at that time. She had been secretly researching distilleries and pitched me one day on taking the brewery concept to the next level. I was a bit wary at first. We had both grown up in the era of the mini bottle. Until 2006 in South Carolina, bars could only pour spirits out of mini bottles, drastically limiting not only the variety of spirits sold in the state but also the cocktail experience. 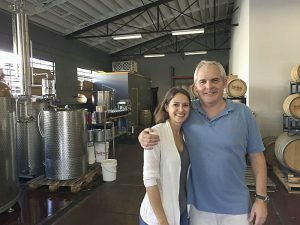 These Draconian laws led most people to drink wine or beer, so I felt like owning a distillery in South Carolina might be a bit of a gamble. Ann convinced me to read some of the articles she had found, and we took a trip out to Portland, Oregon, to visit some of the long-standing microdistilleries. That trip was very eye-opening. We left convinced that we could make the concept work in Charleston. What spirits do you consider your strengths or flagship spirits and why are you distilling those particular spirits? Hat Trick Gin is the spirit that cemented our place in the cocktail community of Charleston, and it quickly became our flagship brand in our first years of business. Charleston is also home to Jack Rudy Cocktail Co., whose tonic syrup was a natural partner for our gin. Charleston G&Ts started popping up on menus all over town. The craze for Hat Trick helped us finance our whiskey program and we quietly began developing our niche in that category. Agriculture is South Carolina’s number one economical driver, with tourism not far behind. We knew we couldn’t compete with the large whiskeymakers on age, so we decided to tap into our rich agricultural history and culinary background and dig deep for very specialized grains that weren’t available on the commodities market. We reached out to Glenn Roberts of Anson Mills (also based in SC) to help us identify the best possible variety of corn for our signature bourbon. He introduced us to Jimmy Red corn, a variety that had nearly reached extinction after a local moonshiner passed away with the last two cobs in his possession. Glenn was able to step in and help re-propagate Jimmy Red. He was most excited to pass some seed along to us, knowing that the volumes we required would almost certainly guarantee survival of this rare corn variety. He was right. Jimmy Red Bourbon has become a spirit with a cult following. This year, we harvested almost 250,000 pounds of this beautiful, red corn. We are very focused on the flavor of our raw ingredients. We have a 2,000-liter Kothe hybrid still comprised of a pot still and a six-plate column, a setup that allows us to be extremely versatile in production. We mill all of our grains in-house for the freshest possible flavor and use a minimal number of distillation plates for our whiskey production to keep that flavor in the forefront. Because of Jimmy Red’s tenuous existence, we take the preservation and stewardship of this corn very seriously. We are currently working with Clemson University to conduct genetic testing and sorting of our seed stock each year, ensuring that it is as close to the original DNA fingerprint as possible. We are also conducting gas chromatography studies with Clemson, testing Jimmy Red corn from four different farms in distinct growing regions for various chemical flavor compounds. The studies are already fascinating, and we can’t wait to continue this terroir research over the next few years. Our Jimmy Red Bourbon is made from 100% corn, so there are no adjunct grains in the mash. Because we bottle by farm, this unique grain bill offers a true terroir expression of our Jimmy Red Bourbon, making a vertical tasting a fascinating experience. How does living in Charleston determine the style and focus of your business? Charleston is a very cosmopolitan city that welcomes millions of tourists from all around the world each year. Our tasting room has become our biggest marketing tool, as we can offer visitors an in-depth look at how our spirits are made and the philosophy driving our company. Charleston also has an incredible culinary scene and diverse agricultural landscape to fuel these kitchens. We are members of a tight-knit food and beverage community, and our collective desire to elevate our city’s global reputation drives us all to raise the bar again and again. Our community is fairly small, so it was extremely important for us to get as many of our local bartenders in the distillery as often as possible. We offered free tours and tastings to local food and beverage staff and set up apprenticeships for anyone interested in learning more about the distillation process. We’ve gained a reputation for authenticity, curiosity and consistency, and those are all critical in building a strong brand. Because Charleston is a destination for the culinary tourist, our brand has grown rapidly by simple word of mouth. Visitors learn about our brands from a local bar or restaurant or visit our tasting room and return home to seek it out. Because members of food media frequently visit Charleston, we’ve also gotten a lot of press coverage which adds legitimacy to our mission and goals. I think it’s critical to have a compelling reason for being. 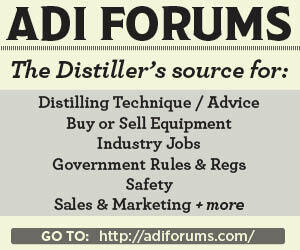 We see a lot of new distilleries popping up that are extremely well-funded, but their brand is lacking in depth. It might be easy to pay your way onto a shelf in the beginning, but staying there either requires an endless supply of cash or a compelling reason for bartenders and consumers to support your brands. What is exciting you most about the current climate in spirits and cocktails? We are really excited about the new emphasis on terroir in spirits. For so long, the quality of raw ingredients was overlooked as emphasis was placed on water and age. This renewed interest in sense of place and taste of place is creating a really exciting new genre of whiskey, brandy and rum that this country hasn’t seen since the pre-Prohibition era.